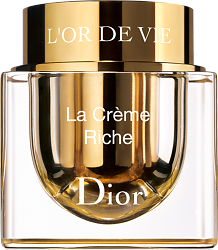 The rich texture of La Crème Riche deeply and lastingly nourishes the driest skin and envelops it in absolute comfort. 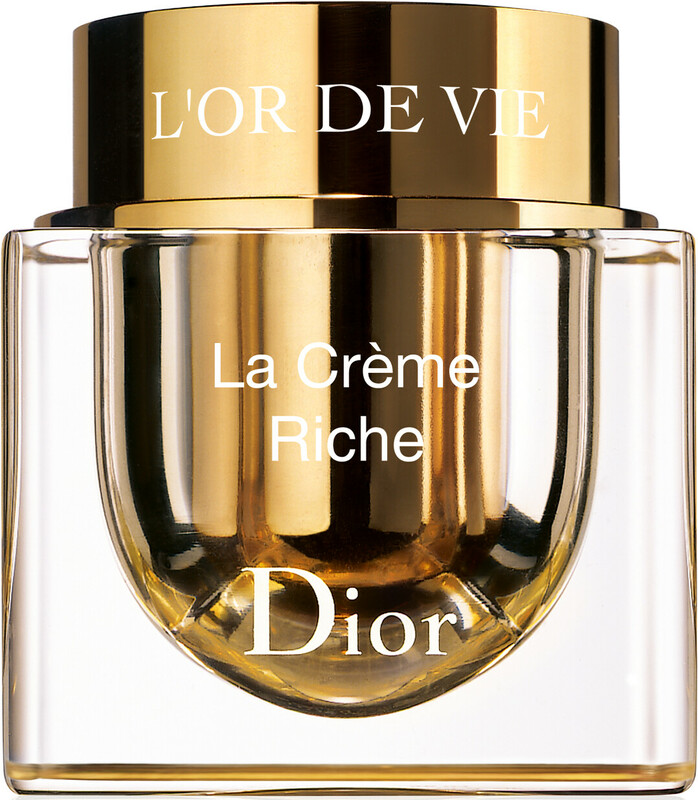 The Dior tip: apply morning and evening to face, neck and décolleté. Glide over your face with a smoothing stroke to fully benefit from the powers of L’Or de Vie. Continue down to the neck and décolleté: your hands join together under the chin, gently gliding downwards to envelop your neck and décolleté.